The bathroom may be the most-used room in any house, and making sure it looks its best can lift the house as a whole. At ProSource® of Lexington, our professional designers can help you and your client achieve the perfect result, and our wholesale products make it possible to do so with a budget. We like to think of the bathroom sink as the crown of the bathroom. That is why we offer vessels, shrouds, pedestals, and beyond in a huge variety of colors and materials from the best manufacturers. 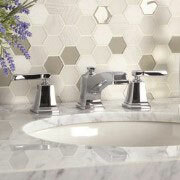 Whatever sink you choose, the faucet should complement and enhance it. At ProSource of Lexington, we offer a full range of excellent materials and styles sure to satisfy your client’s expectations. Sometimes, showers need to be fast, and other times, you need to take your time and relax. With ProSource of Lexington’s wholesale prices and vast selection, you and your client will be able to find a shower that is not just functional but relaxing as well. Bathrooms often struggle with storage, but that doesn’t have to be the case. 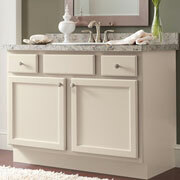 Our selection of vanities make it possible to maximize the bathroom’s space while keeping it feeling gracious and neat. 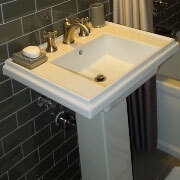 Learn about our vanities, lights, countertops, and more. 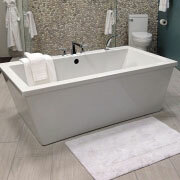 Tubs are an opportunity to relax and enjoy life. Whether your client wants a traditional tub, a jacuzzi, or some combination of both plus a shower, ProSource of Lexington can help. 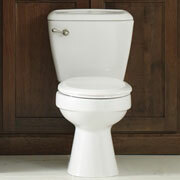 The toilet needs to be convenient, dependable, and pleasant to use. We are here to make sure this important part of your remodeling project is a success.